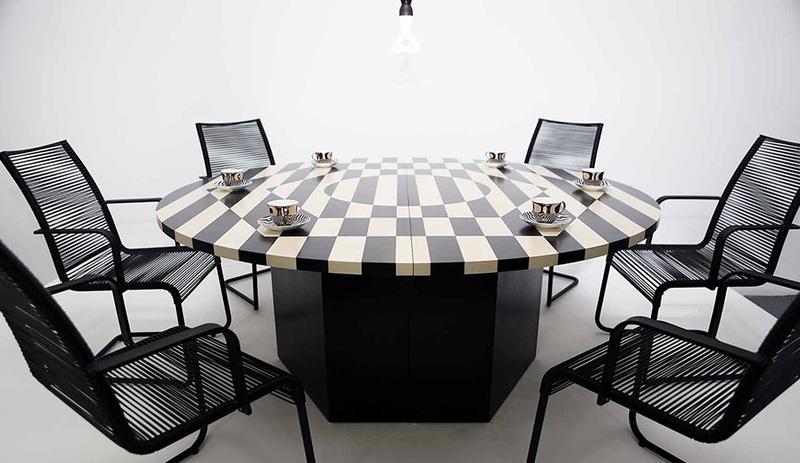 The pattern experts at Patternity devoted their booth at Designjunction to black and white stripes. Pictured here is Sum Marquetry Table, by Patternity and Toby Winteringham. 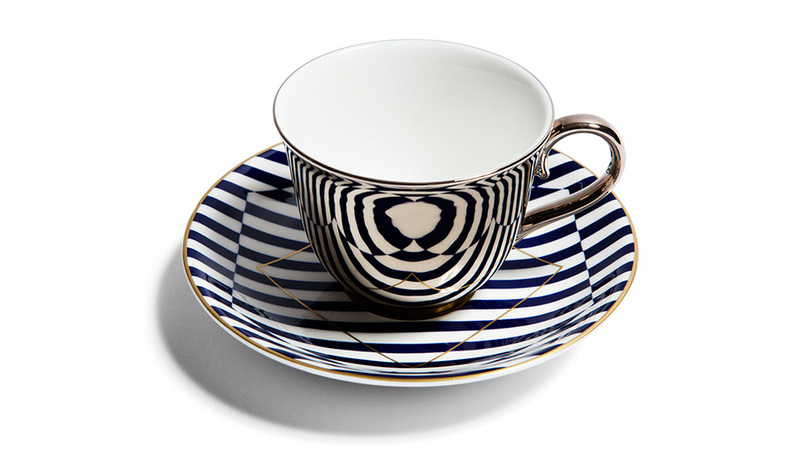 Also on view at the Patternity booth: Richard Brendon's 12-piece bone china collection in cobalt and 24-carat burnished gold. 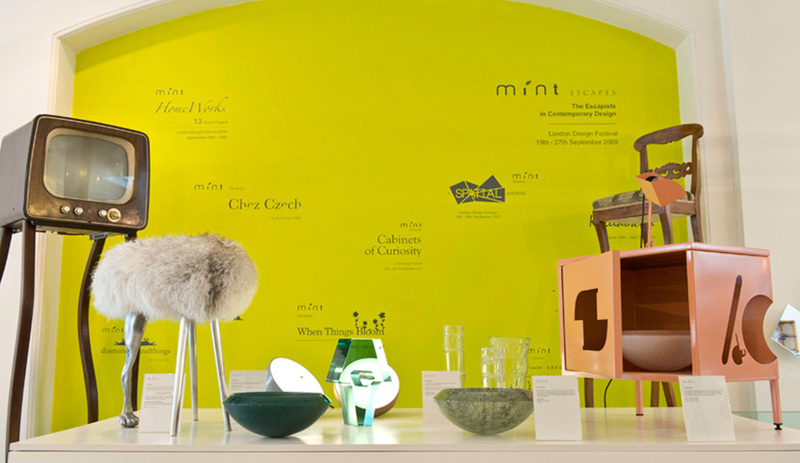 Lina Kanafani of Mint Shop always shows unique pieces in her Cabinets of Curiosity. 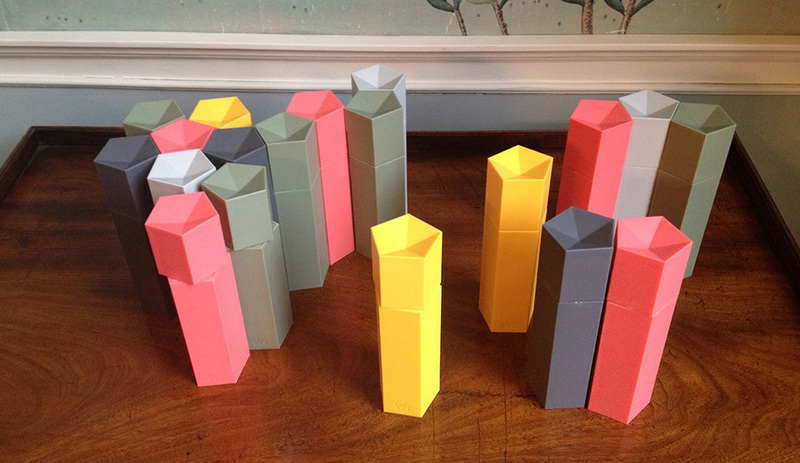 For LDF, 75 works from Sweden, Czech Republic and beyond were on display. 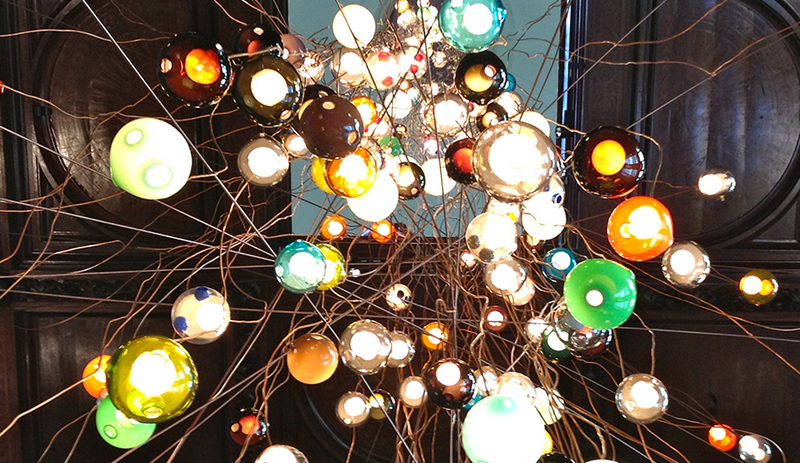 At the Victoria and Albert, Omer Arbel installed a dramatic 30-metre chandelier comprised of 280 Bocci pendants suspended within a massive tangle of copper wire. 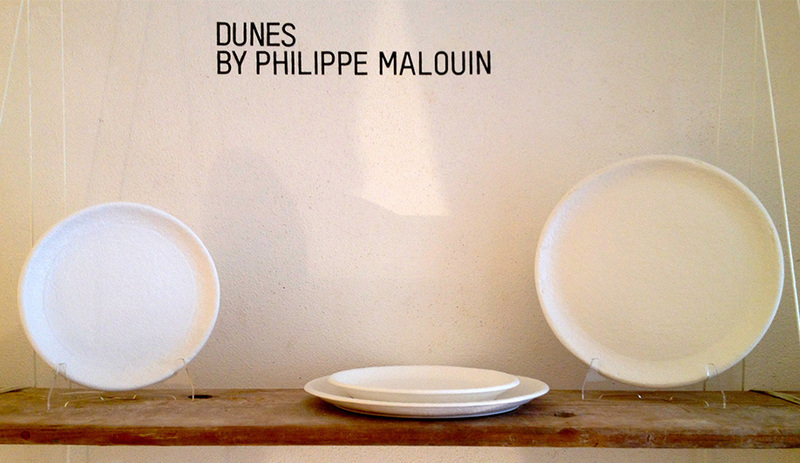 The dimpled surface of Philippe Malouin's bone china, made for 1882 Ltd., retains the texture of sand granules derived from the designer’s own mould-making machine. 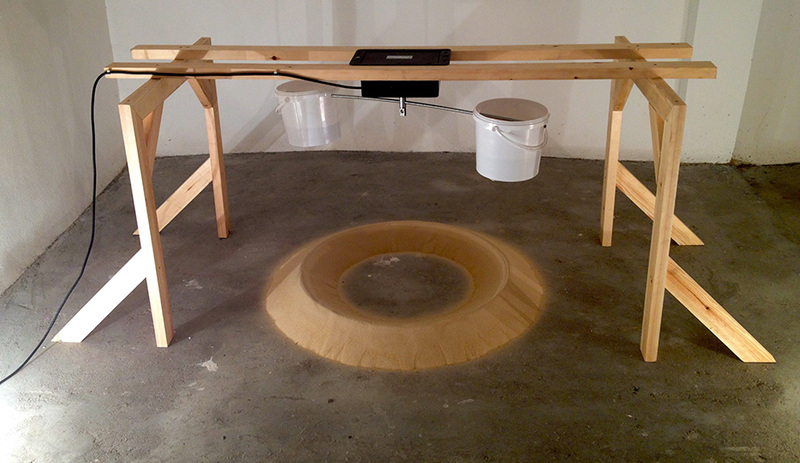 In Philippe Malouin's mould-making machine, a motor spins two buckets that release sand through two holes. The form produced (on the floor) is used to create the plaster cast for a line of bone china dishes by 1882 Ltd.
Gemma Holt’s paperweights are made of paper layers held together with wood glue. 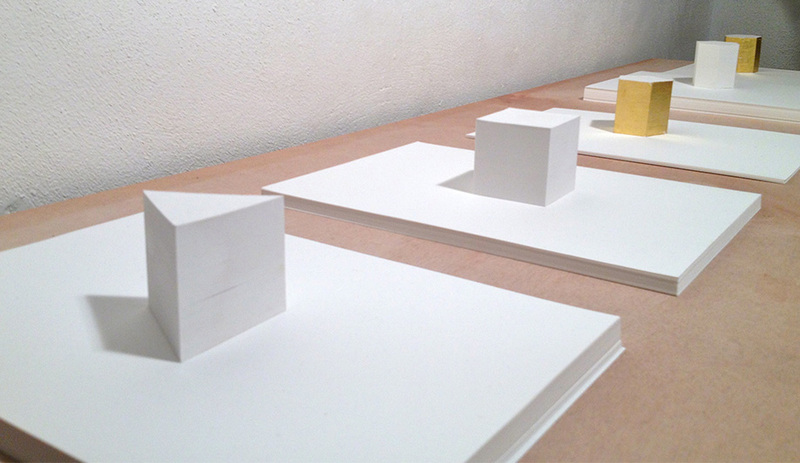 The display was part of Blanks in Between, initiated by the Workshop for Potential Design and located in the basement of Paper Tiger in the Brompton District. 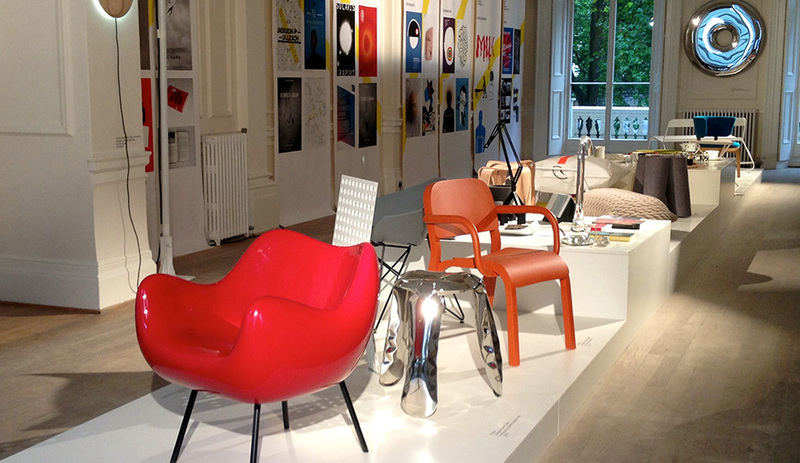 The annual Young Creative Poland exhibit showed an array of objects, furnishings and graphic posters, including the re-issue of Roman Modzelewski's RM58 chair (in the foreground), originally launched in 1858 by Vzor. 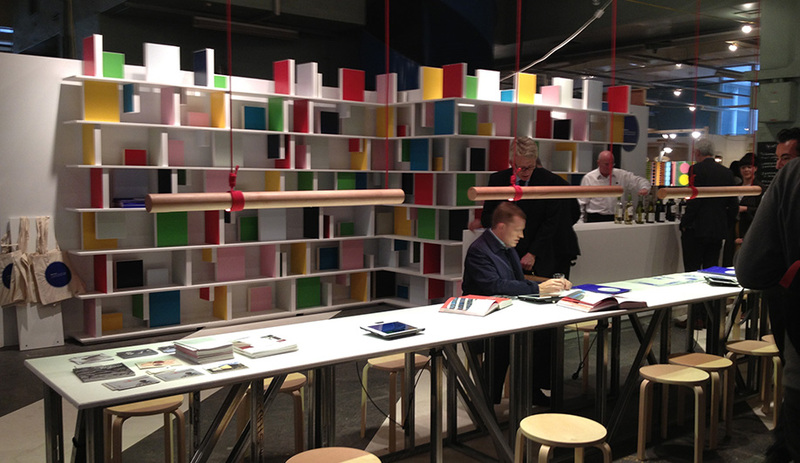 New York designer Todd Bracher and 3M's single-source LED. 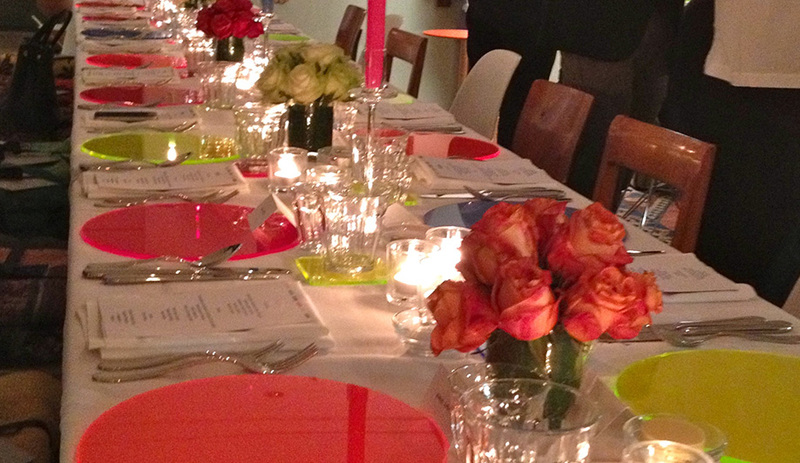 To introduce the architectural light to the UK market, 3m hosted a private dinner illuminated by the product. 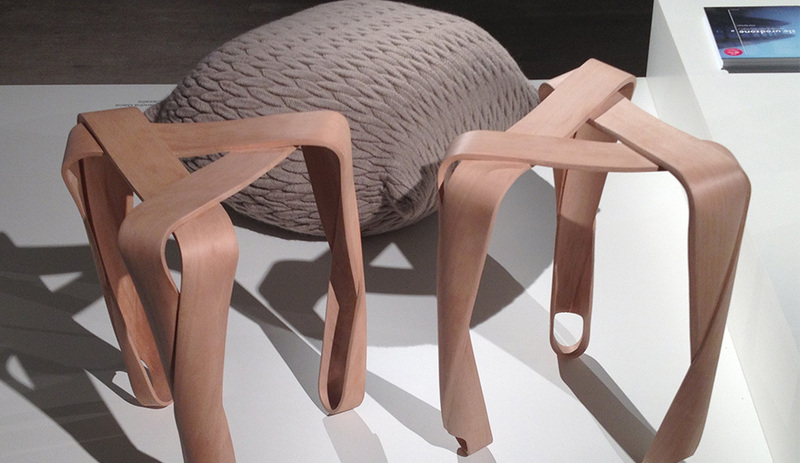 Among the furnishings shown at Young Creative Poland were Jan Lutyk's Ribbon stools. The lightweight seats are crafted from plywood bent in the woodgrain's direction. The pieces in the 3+ Collection – the latest from Oskar Zieta, renowned for his inflated-metal Plopp stool – are constructed from hollow plates of powder-coated or raw galvanized steel. Dozens of designers and journalists, including London’s own Lee Broom and Bethan Laura Wood, enjoyed a meal together, at the Conran Shop on Fulham Road, where the table setting was designed by Jasper Conran. 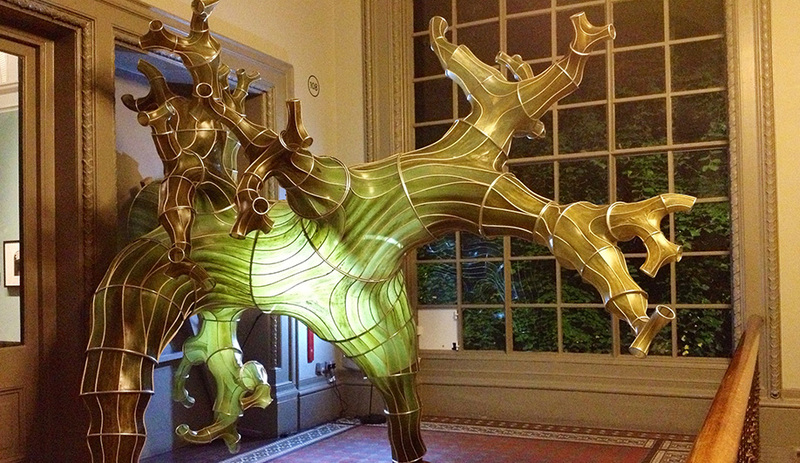 Julia Lohmann's tree-like sculpture, installed at the V&A, is made of Japanese Kombu seaweed stretched over a cane frame and fused into position. 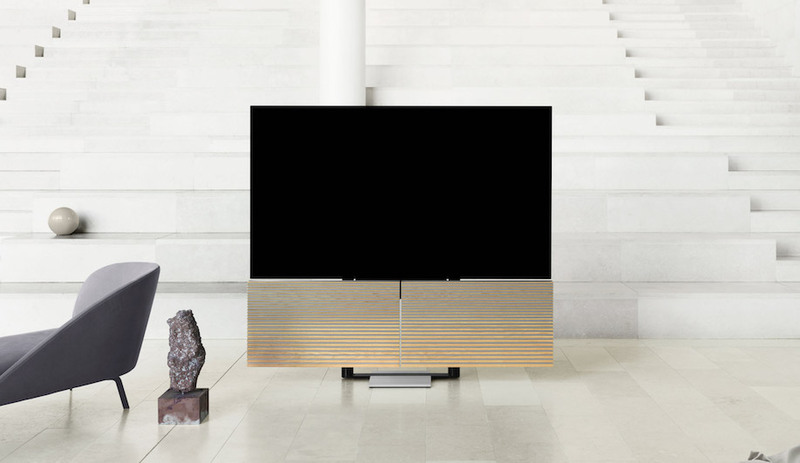 Former Established & Sons director Sebastian Wrong is now co-partner of Wrong for Hay, and launched 37 new products for the line. 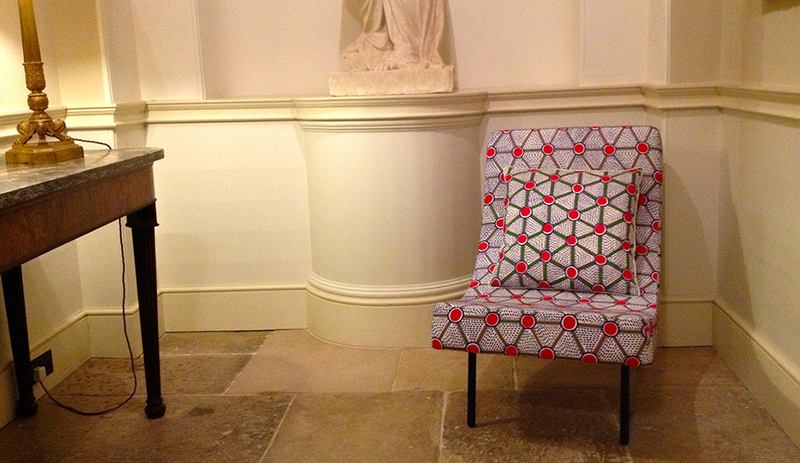 Shown: Curve, upholstered in fabric by Natalie Du Pasque, founding member of the Memphis group. 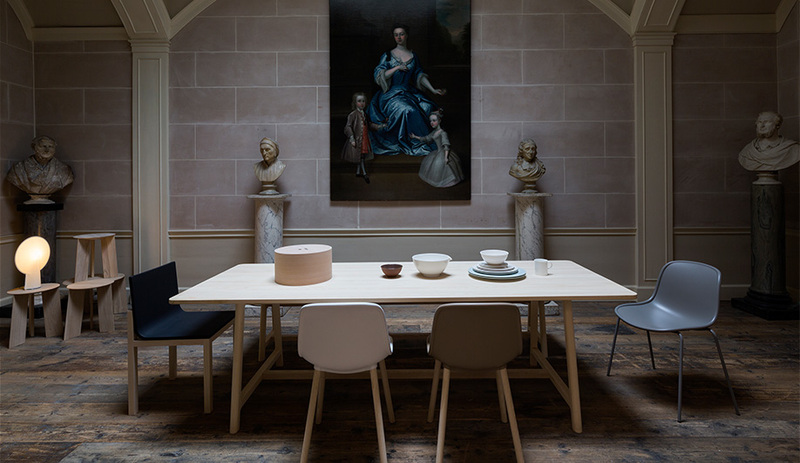 Mixing old with new, Wrong for Hay debuted its collection inside a restored Georgian townhouse. 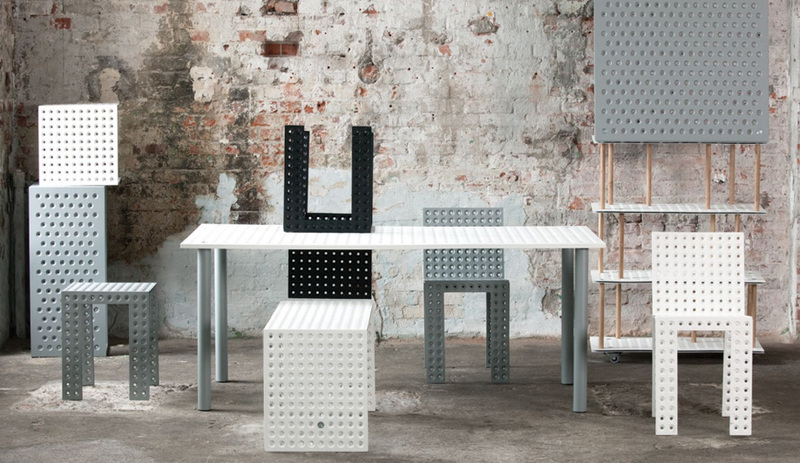 Shown here is Frame table in ash, surrounded by injection-moulded Neu chairs and the Slope seat. Part of the Wrong for Hay collection, Anderssen & Voll's pentagonal salt and pepper grinders, named Ori, come in five colours. 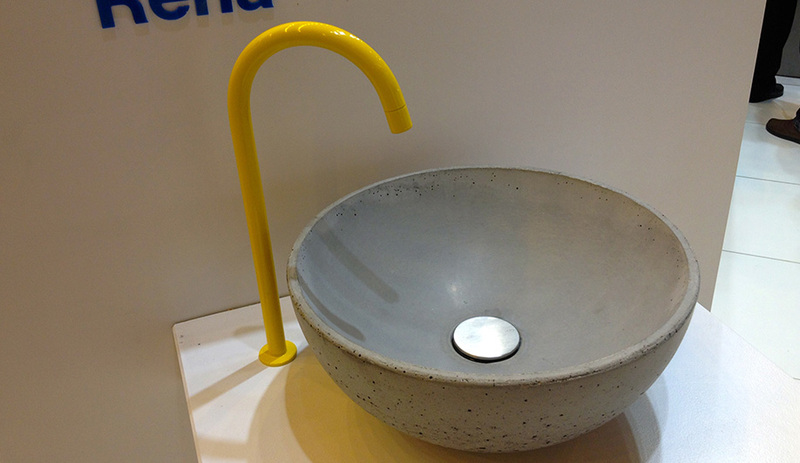 At 100% Design, the U.K.'s Lowinfo launched a series of concrete-cast sinks with contemporary lines, from spherical bowls to monolithic double basins. The Magis Me Too Puppy still wins over hearts. 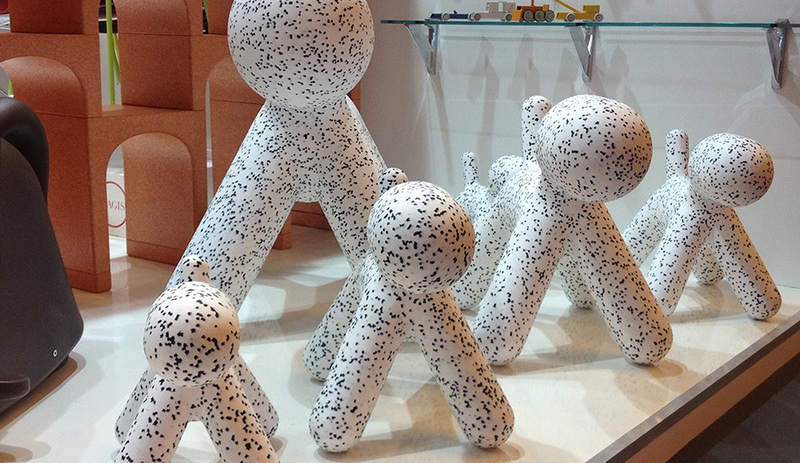 These Dalmatian versions were spotted at 100% Design. 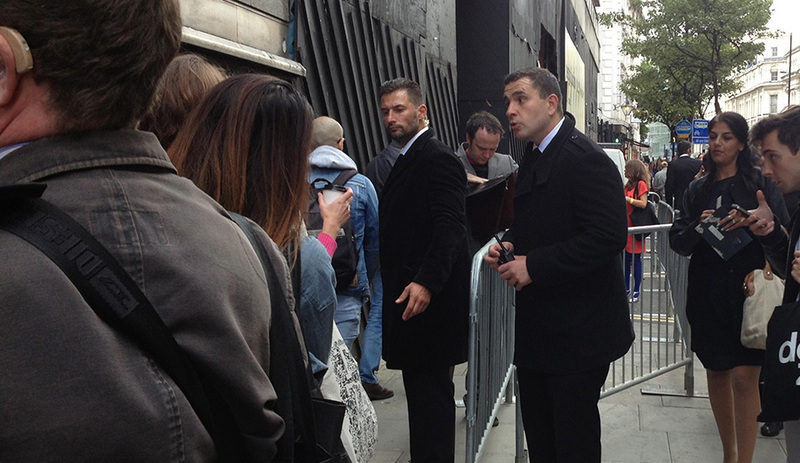 Ushers at the entrance of Designjunction during the press preview. The off-site event, now in its third year, has become a major festival fixture, with over 150 exhibitors. 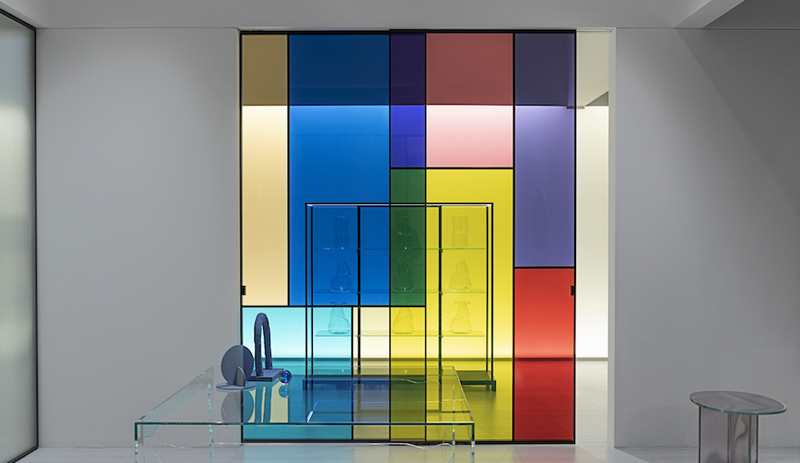 This bookshelf by Chilean designer Orlando Gatica is defined by its colourful modular bricks. 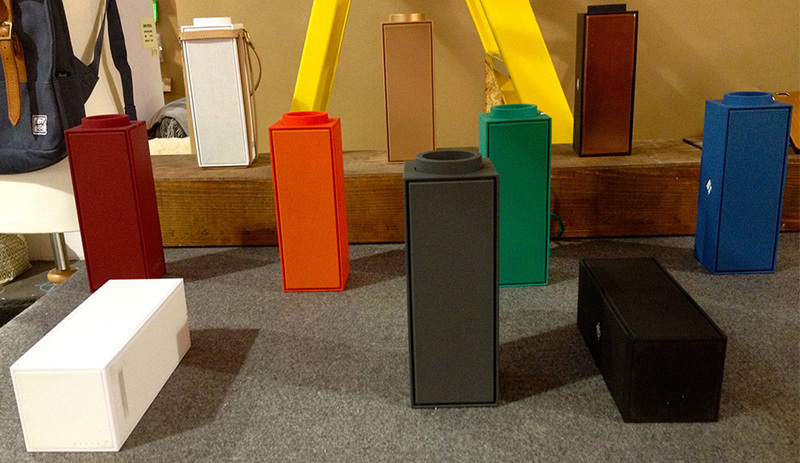 It was on view at Designjunction. 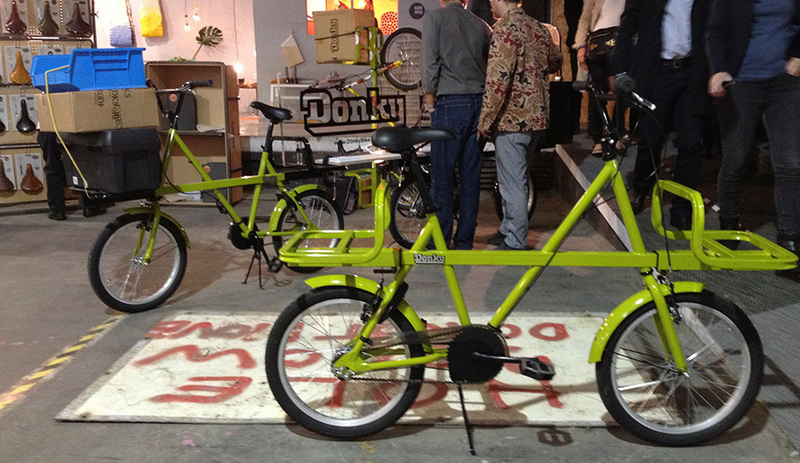 Ben Wilson and Jonathan Pooley call Donky, on display at Designjunction, a "practical and affordable town bike." The removable racks narrow the bike's profile for easier storage. Native Union's Switch, a portable Bluetooth speaker, offers excellent sound quality for hands-free conference calls. 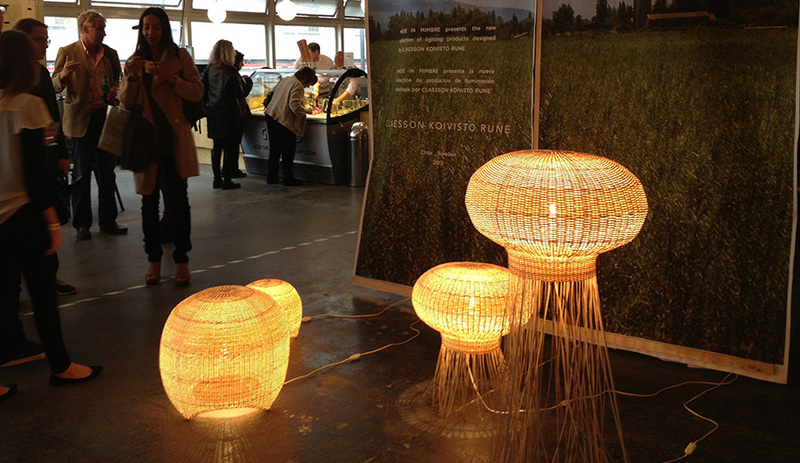 Claesson Koivisto Rune’s wicker lampshades, launched at Lightjunction for the Chilean brand Made in Mimbre, resemble jellyfish. 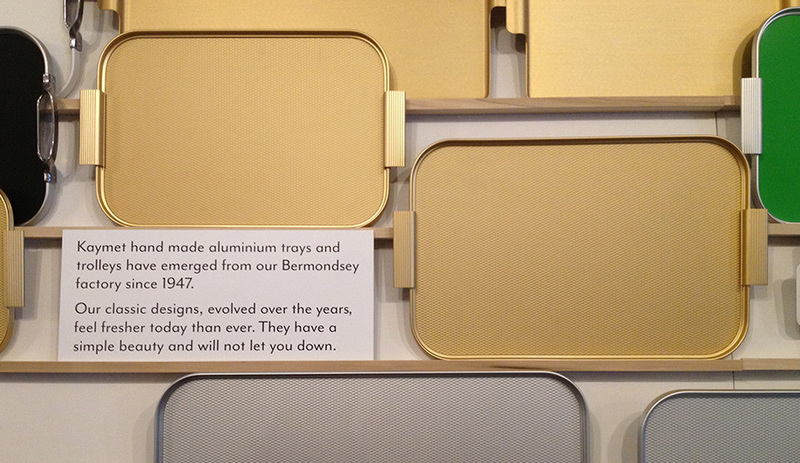 Kaymet has made aluminum trays since 1947, and each year it finds new ways to tweak its inventory. Shown here is the Ribbed tray in a gold anodized finish. 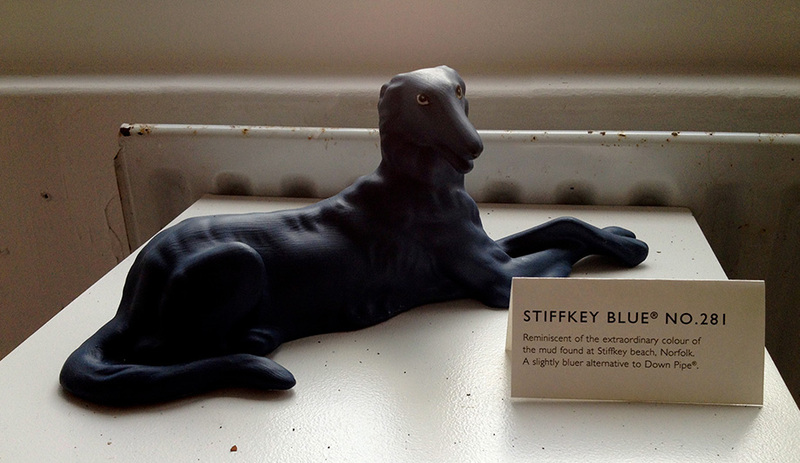 To launch its new palette, Farrow & Ball coated small plaster animals and objects in each new colour, named after a particular place. 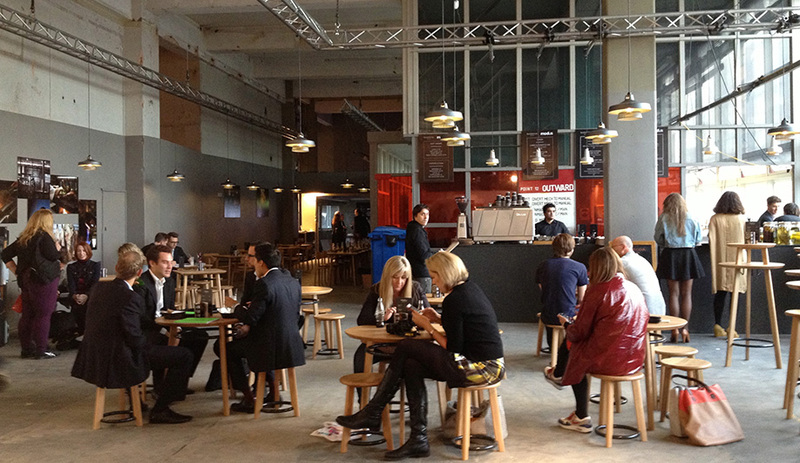 Various lunch spots were set up at Designjunction, including a small-scale version of Jamie Oliver's Barbecoa, with furniture provided by Modus. 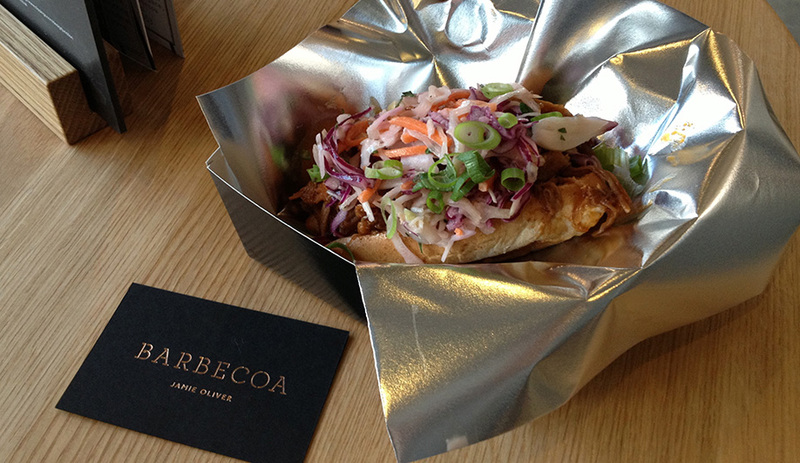 Pit-smoked pulled pork sandwich from Jamie Oliver's Barbecoa pop-up café at Designjunction. 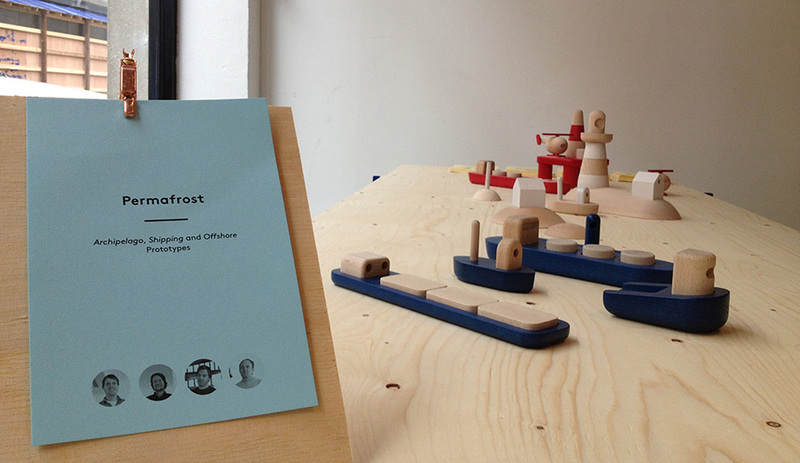 At 100% Norway, Permafrost’s wooden toys depict oil rigs, helicopters, frigates and submarines. The oceanic icons are intended to pose silent questions about Norway’s industrial heritage. 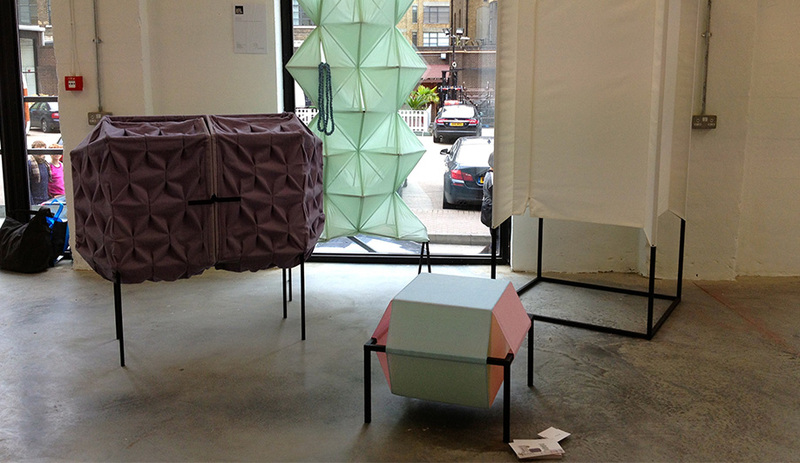 We were happy to see German designer Meike Harde's unique furniture designs at Tent London. Harde's pieces are featured in our October issue, now on newsstands everwhere. 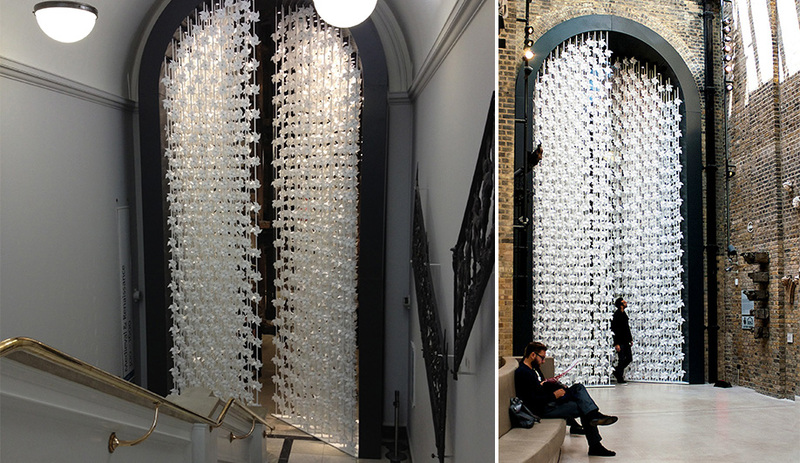 Lebansese designer Najle El Zein fabricated 5,000 operable paper windmills for her dramatic doorway at the V&A. 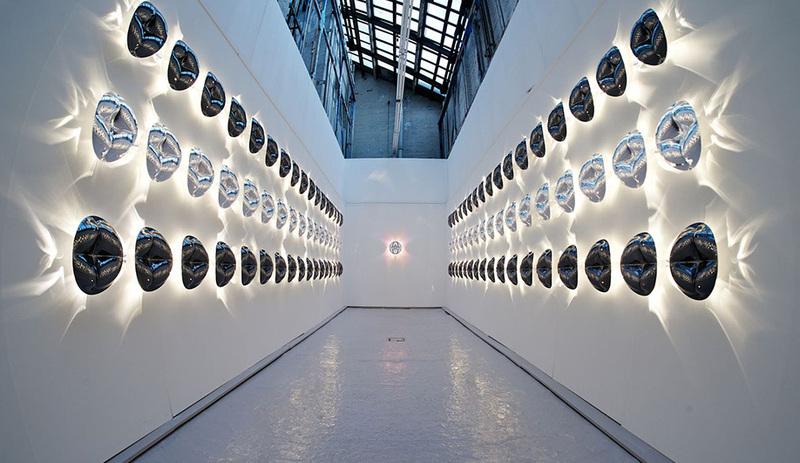 Wind Portal remains on view until November 3, 2013. 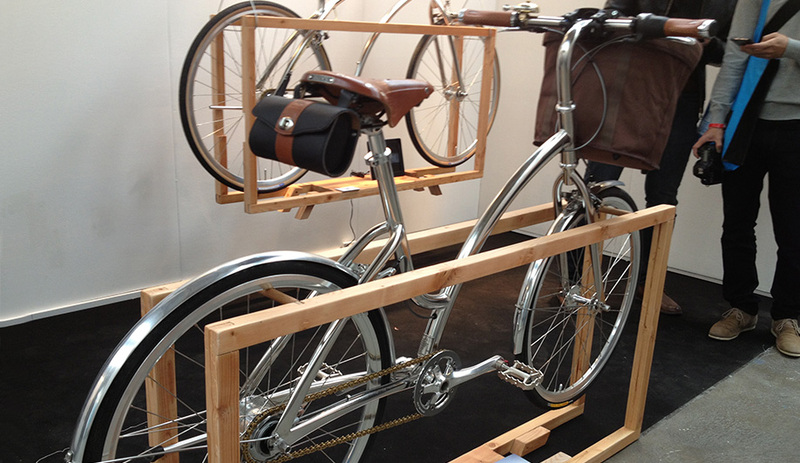 AOI.CYCLE's sleek stainless steel bike, handcrafted in Taiwan, grabbed lots of attention at Tent London. 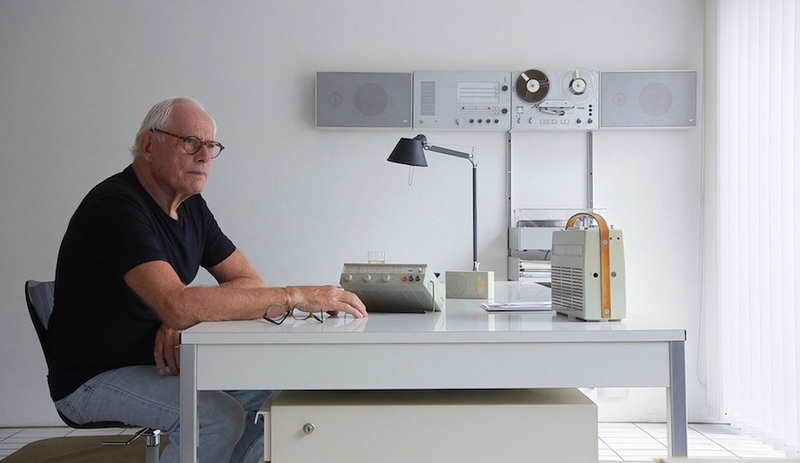 Back from London Design Week, Azure editor Catherine Osborne picks 30 of her favourite products and moments during the annual festival, which featured 300 events, exhibits and launches from September 14 to 22.